Greetings from the far reaches of North America. I am corresponding from Glacier National Park in northwest Montana. The rivers are flowing fast and hard here as the snow continues to melt atop these spectacular mountains. Together with Waterton Park in Canada, this area of wilderness was declared in 1932 to be the world’s first International Peace Park. At this point in my life it is the perfect place for me. I have recently made peace with Panama City. The sale of our house is final and a decade long culture war has come to an end. I fought authority and challenged convention in one of the most conservative sections of the country and while I no doubt have battle scars to prove it, closure is vitally important. I find myself in Glacier hoping for nature’s healing hand to guide me again. The job is, quite frankly, the most responsibility ever bestowed upon me and I eagerly look forward to the challenge. I am managing a fleet of 27 vehicles and more than 50 drivers — each with their own unique personality. From my concierge desk inside historic Lake McDonald Lodge, I also oversee a staff of four concierges whose job it is to see that our guests and visitors not only enjoy their stay to the fullest, but also find their way onto one of the red buses, Glacier’s iconic touring cars. This is the centennial season for Lake McDonald Lodge and events are planned for throughout the summer. 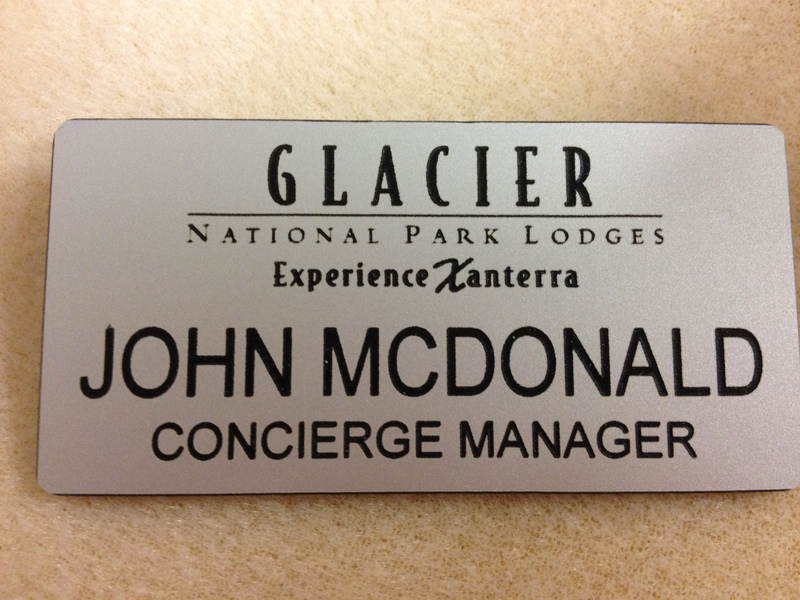 No pressure for the guy named John McDonald. Admittedly, the first month here was challenging. With a new company taking over the park’s lead concessionnaire contract, there was some confusion as we prepared to open our summer season. This was expected. There are obviously skeptical locals and those loyal to the former company whose grumbling I have experienced first hand. For me, the transition from a labor activist to a middle manager is conflicting to say the least. I am beginning to see things from the other side. I am doing quite a lot of pausing and reflecting. My father built a 30-year career in management — with one company, no less. I am hoping some of those skills are hereditary. Lucke, who at the age of 71 is retired from the Glacier Park lifestyle and now resides in Havre, Montana, has been a wealth of information for me as I continue my on-the-job training. He is a colorful character in his own right, who writes for several local papers around Havre and the lounge in the lodge bears his name. At last week’s centennial celebration, Lucke entertained a large audience that had gathered inside the lodge’s auditorium on a wet and cold day with stories from his time driving those red buses. The stories clearly eased much tension associated with the new company in town, but could not overcome the question on everyone’s mind. The Going-to-the-Sun Road and when will it open? That, my friends, is the million dollar question here. I’m really glad your experiencing Glacier this year. I’m looking forward to reading more of your great observations.